The village is an important industrial centre at the Hron river. It was founded in the middle of the 19-th century as a settlement of the village Lopej, close to the new mill in the iron-works in Hronec. The settlement started to develop after the railway to Banská Bystrica and Brezno was finished by the end of the 19-th century. The factory became one of the biggest in Ungarn and after the production in Krompachy was stopped, it also became the biggest metallurgical factory in Slovakia. After 1918 it was nationalised by state. The village Podbrezová was in fact a large colony of workers that worked in the factory. The colony of workers´ houses from the end of the 19-th century was one of the oldest agglomerations of workers in Slovakia. It is an evidence of the first attempts for the standardised building up process in the region. 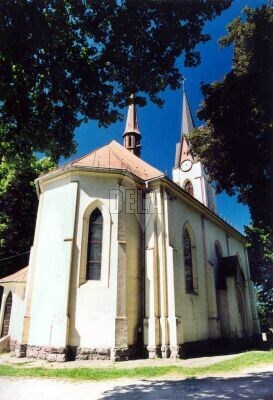 In the village there is a neo-gothic Roman-Catholic church from the year 1856, repaired by the end of the 19-th century and in the first half of the 20-th century.